Former WHYY correspondent Elizabeth Fiedler will launch a campaign against longtime South Philadelphia Rep. William Keller for the 2018 midterm election, sources have told City&State. The former reporter’s interest is not exactly a secret. 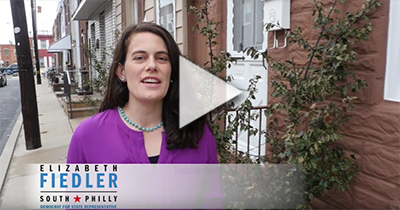 Fiedler recently launched a generic campaign-style Facebook page and rebranded her Twitter account as “Fiedler4Philly.” Notably, neither specify which seat Fiedler intends to run for. While she hasn’t announced her full platform, she supports expanded health care and increased education funding. But several sources told City&State PA that she had been eyeing Keller’s seat in the 184th House District. Fiedler moved her family into Keller’s district last year and, this week, attended the Democratic Party’s “Progressive Change Campaign Committee” training seminar, in Washington, D.C.